A head teacher objected to a shop being able to sell alcohol over fears parents will stand outside and drink. 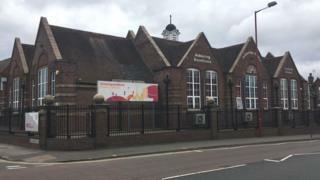 Jonathan Leonard, of Cotteridge Primary School, in Birmingham, said a small number of parents had caused alcohol-fuelled disturbances in the playground. He said granting the licence would put his 420 pupils at risk. The shop is across the street from the school. The application by Eden Manna store was granted but it cannot sell alcohol until after 17.30 on weekdays. Speaking at a Birmingham City Council licensing meeting, Mr Leonard said: "Because parents do stand outside the school, especially in the summer and they do drink. "The rights and wrongs of that are a big discussion but it's just a fact they do, and easy, quick access to alcohol to me is completely inappropriate in our setting." Child services had been involved in one case and one parent had been banned from the grounds of the school in Breedon Road, he said. The LDRS service reported Mr Leonard also said there were two vaping shops and a massage parlour on the same row of shops, stating an off-licence would add to the promotion of "unhealthy lifestyles" to children "every time they step out of school". A representative for the applicant said the school's current issue had nothing to do with the store.